WoW 14. Snow white Sorrow & Dust. To read the whole synopsis, you can click on this link to Goodreads. I've found out about this book today and there's a lot going on. You can find out by going through the reviews. Expected publication: October 30th 2012. 4. The number of times my delicate wings have been broken and clamped behind my back. 68. The number inked upon my skin marking me the sixty-eighth pixie to be stolen. 87. The number of days I’ve been wrongfully imprisoned by the fairies. 88. The first day the faeries will regret stealing me. So, that's it for today! What is your pick this week? First I've heard of both of these. Thanks for bringing them to my attention, especially Snow White Sorrow. I love fairy tale retelling. Glad I found this one. Oh holy wow, I LOVE your picks! The second I saw the cover of Snow White Sorrow, I knew I would have to add it to my TBR list. And Dust sounds like it's going to be really good too! I can't wait! Oh my gosh, I LOVE the cover of Snow White Sorrow, it is absolutely beautiful! Both of these books sound awesome, I'm definitely going to have to check them out! Nice picks! THey both sound great and I really like the covers. I've been dying to see Snow White Sorrow around - I'm planning on featuring this as my WoW next week, it's amazing! Wow great picks! I haven't heard of either of these yet but definitely adding them to my list now. They sound so good especially Snow White! I've been a little hesitant of Snow White Sorrow. 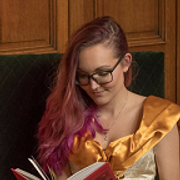 Its synopsis is heavily derivative of Anna Dressed in Blood and the Mortal Instruments (some pieces are nearly the same word-for-word) and that is never a good sign for whatever is inside the novel. Snow White Sorrow looks awesome. I have not seen it before, but I am intrigued. I love Snow White! Retellings are always fun. I love the sound of Dust. I'm waiting on that one too since I love kidnapping stories and fae books! Thanks for stopping by! 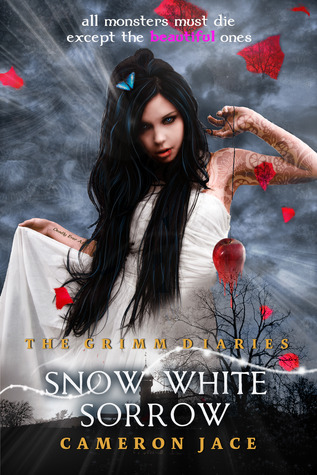 I love retellings and its my first time hearing about Snow White Sorrow. It sounds so different and even the cover is a little creepy. Never heard of either of these. They both sound creepy...which is good...lol...thanks for coming by today. Love the cover...Love the synopsis! Must have :D Thanks for sharing! Hm. Haven't heard of either. Though I'm usually not a fan of faeries, they both sound pretty interesting. Both great picks- but I'm *really* interested in "Snow White Sorrow." What a great premise. Oooh! Yes! I'm looking forward to Snow White Sorrow too. Snow White Sorrow sounds and looks amazing! I am really liking all of these retellings that are starting to pop up all over the place, yes! I'll be adding this one to my list too, thank you :) and happy reading! Great picks :) !! I want to read them both .. I'm adding them to my wishlist !! I am a huge fan of fairytales and the different ways people interpret them (like grimm and once upon a time) so the snow white one seems really exciting! Also the second one is very interesting! I hadn't heard of Snow White Sorrow yet! Thanks for bringing it to my attention! Adding it to my TBR pile...... NOW! I have not heard of either of these books, but they both sound AWESOME! I am putting them both on my TBR list! Great Picks! Thanks for stopping by my blog! I've not heard of either of these, but they sound so intriguing and good! I love the dark twist to Snow White and want to know why she let Loki live - and that synopsis for Dust is FANTASTIC! So grabbing. Great picks, and thank you for stopping by my post! Top 10 Tuesday (12) Books for the future. Review 38. Victoria Schwab - The ash-born boy. Review 37. Keary Taylor - What I didn't say. Review 36. Debbie Viguié - Midnight pearls. WoW 13. Adrienne Stoltz – Lucid. Review 35. Carolyn Turgeon – Godmother. Review 34. Alyson Noel - Radiance & Shimmer. Review 33. Carrie Jones – Need. Top 10 Tuesday (11) Awesomeness. Review 32. Cameron Dokey edition. Review 31. Chuck Wendig - Blackbirds. Review 30. Lisa Cach – Wake unto me. Review 29. Alex Flinn - A kiss in time. Top 10 Tuesday (10) Favorite book quotes. Review 28. Cameron Dokey - Sunlight and shadow. WoW 12. Erin Jade Lange – Butter. Top 10 Tuesday (9). Books into movies.